They said there was nothing to see or do in Benicia. 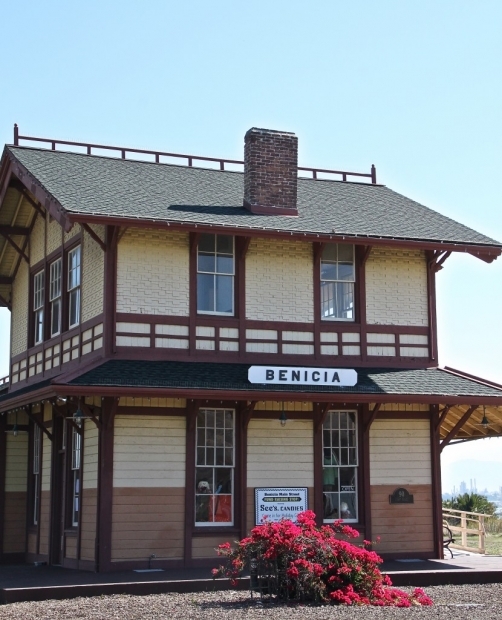 Though rebuked and scorned and mainly unknown, Benicia is a delightful little waterside town in Solano County. For thirteen months (1853-54), it was California’s state capital. Who knew? Benicia offers other surprises. Here are some of our favorites: Terrific eateries, farmers’ market, glassblowing studios, thriving artist colony, historic buildings, and views over Carquinez Strait. And, best of all, many of these attractions are an easy walk from each other. What’s not to like about Benicia?